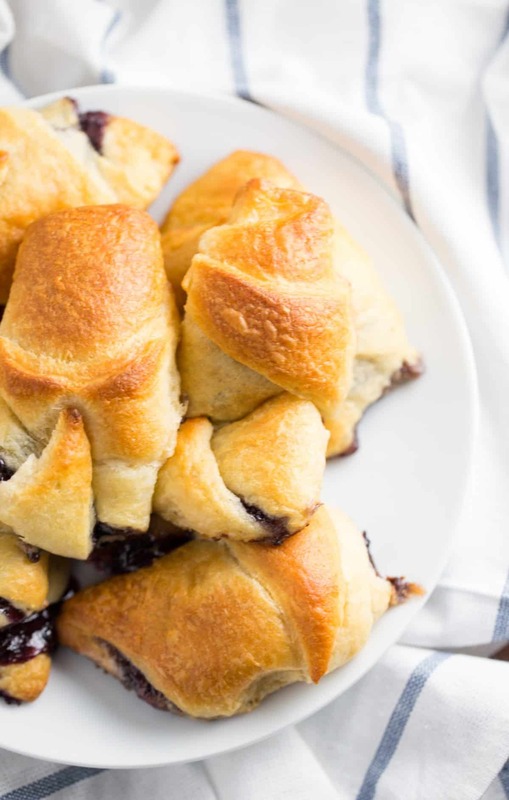 This jelly roll recipe includes an upgrade over the standard PB&J sandwich – you use crescent rolls as a buttery, flakey replacement for regular bread. I might be almost 40 years old, but I still love peanut butter and jelly! 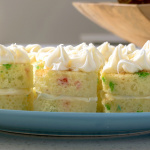 If you’re a big kid just like me, you’ll appreciate this jelly roll recipe. It includes an upgrade over the standard “PB&J with the crusts cut off” – you’ll use crescent rolls as a buttery, flakey replacement for regular bread. 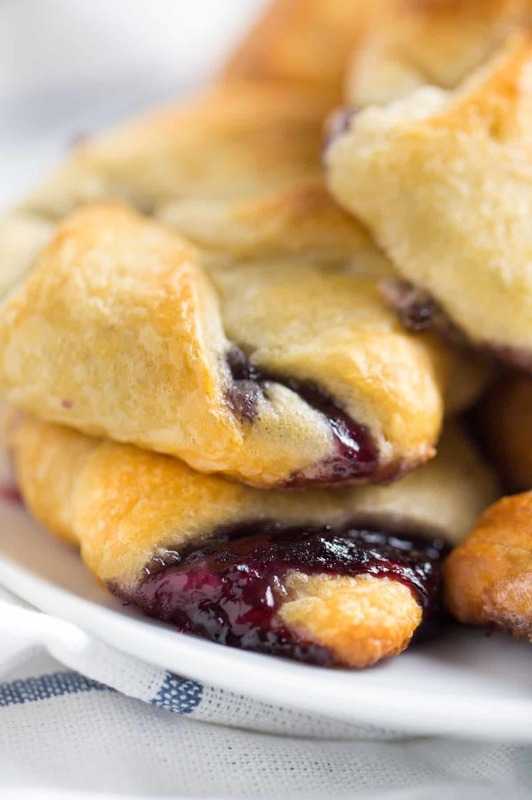 You can’t imagine how buttery and delicious these are! 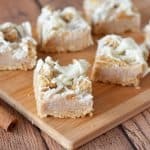 You can make them with any kind of peanut butter, though creamy is my personal favorite. 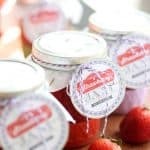 It’s fun to experiment with different types of jam as well. Blueberry was used here, but strawberry and raspberry would also be interesting to try! Here’s how you’ll make them. 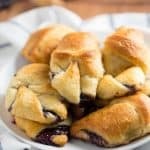 This jelly roll recipe includes an upgrade over the standard PB&J sandwich - you use crescent rolls as a buttery, flakey replacement for regular bread. Preheat oven to 375°F. Spray a baking sheet with cooking spray. 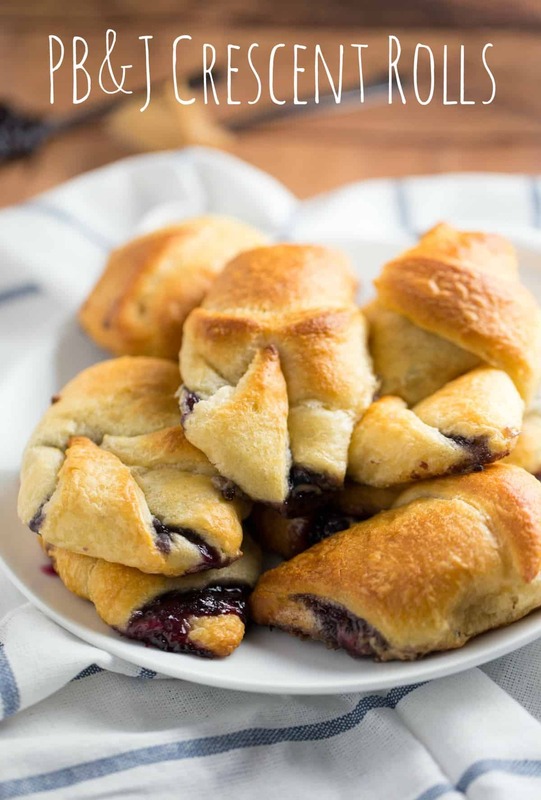 Unroll crescent roll dough and separate along the perforations. Lay each triangle on your baking sheet. Add 1/2 tsp peanut butter in the center on the widest end of each triangle. Add 1/2 tsp jam alongside the peanut butter. Roll up starting at the widest end. Tuck in any loose dough hanging out a the ends. Bake for 10 to 11 minutes or until golden brown. Serve warm. 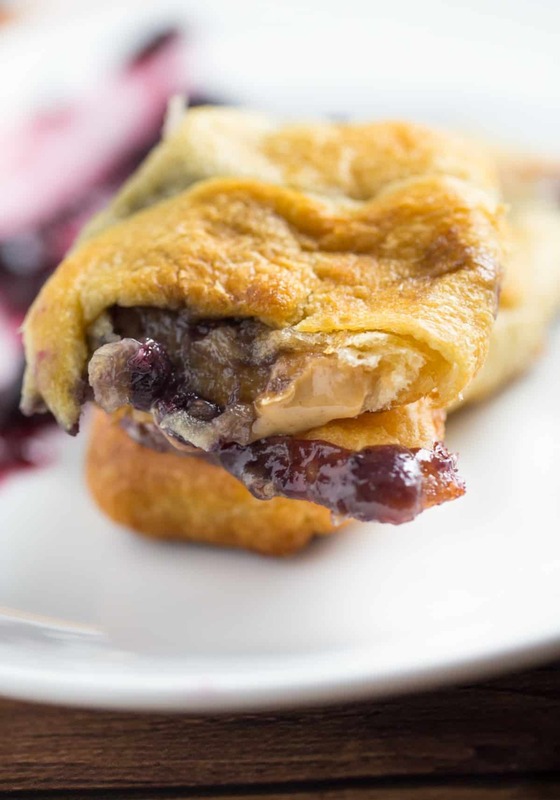 Don’t these peanut butter and jelly rolls look amazing? I could eat all of them in one sitting! I won’t though – because I want to savor one each morning. And maybe for lunch too . . .
Yum! These are totally something I want to be eating for breakfast right now!